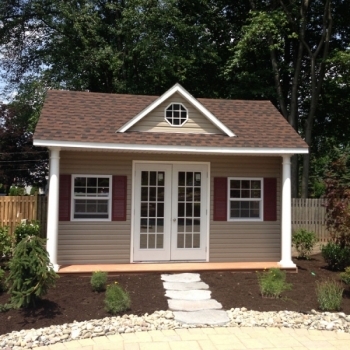 We took one of our most popular pool houses and we added six inches to the wall and door height. The roof has to be built on site but the labor is included. 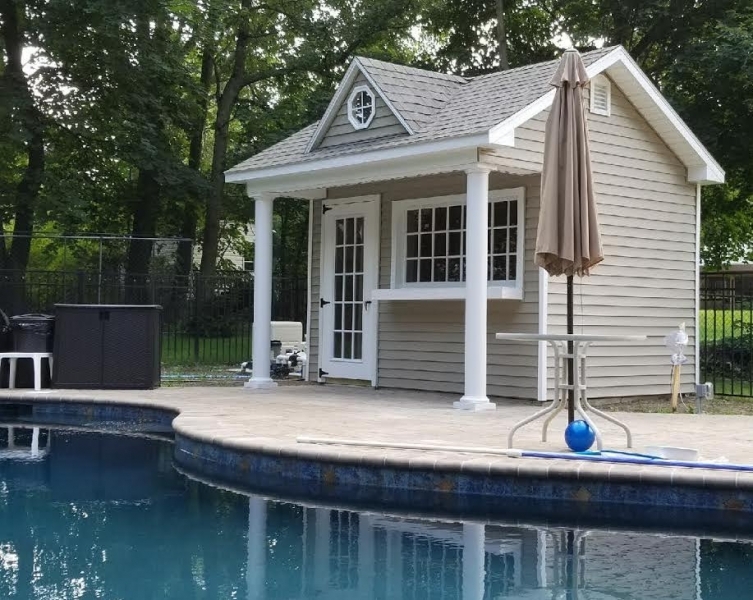 This pool house features a two foot trek porch with two vinyl columns, your choice of glass top doors, vinyl siding a dormer. You have a choice on a half moon window or octagon window in the dormer. 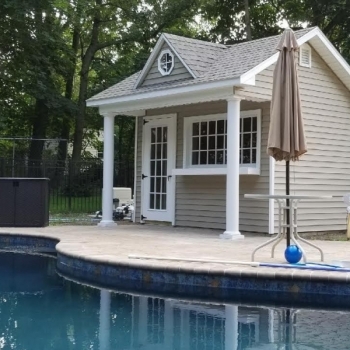 This pool house can be custom ordered in your choice of colors. 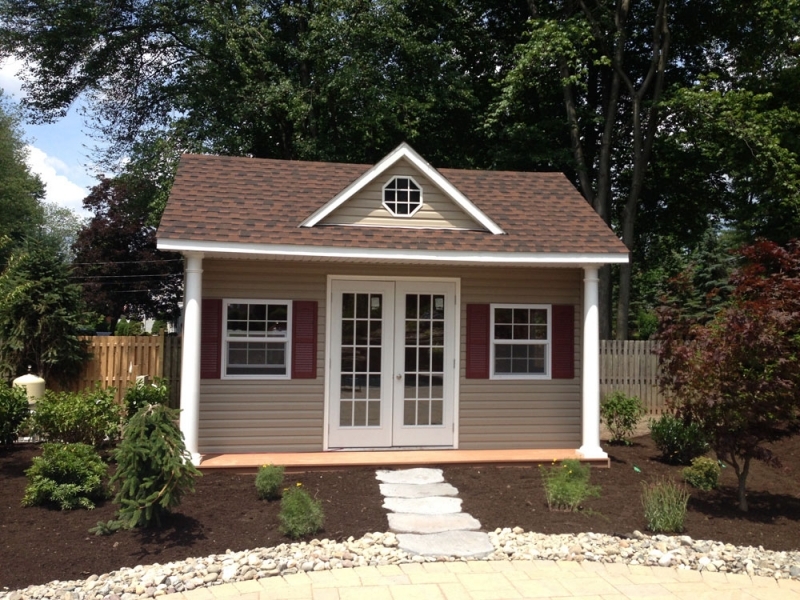 Its delivered and the roof is then done on site.